Cobblers are one of my all-time favorite desserts because they’re like eating both cake and fruit pie at the same time. How can you go wrong with that? They’re also really easy to make in the slow cooker if you want to come home to a delicious-smelling house and dessert that’s ready to go. 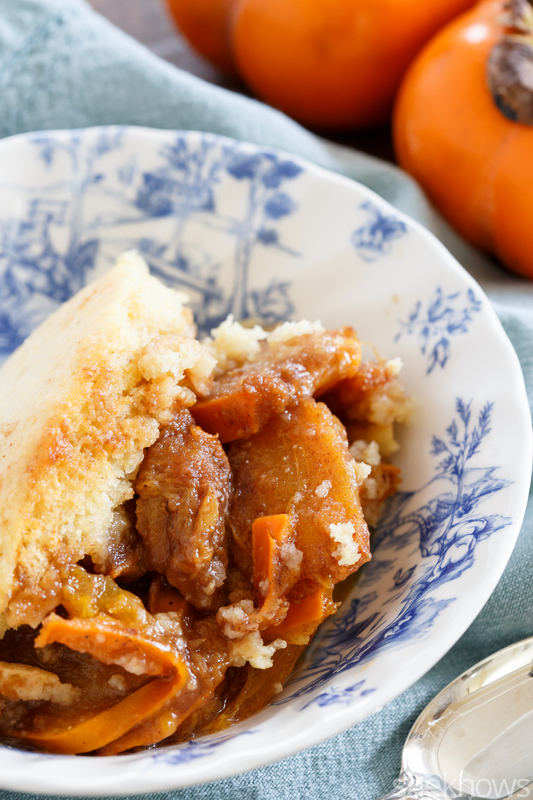 While peaches are the most popular cobbler fruit, they’re definitely not in season in the middle of January. Of course, you could use frozen peaches, but why not try a seasonally appropriate fruit like persimmon? The fuyu variety (the short, squat ones) is best because they don’t have that horrible, chalky, bitter taste the other variety does when not ripe. The fruit’s skin can be eaten too, so no need to peel them before slicing. They’re sweet and bake up to bubbly perfection underneath a simple cake topping. Whipped cream or vanilla ice cream are pretty much the only thing that would make this dessert any better. Feel free to add some on top when serving. In a medium bowl, combine all the ingredients for the fruit filling, and mix together. Pour into the base of a slow cooker. 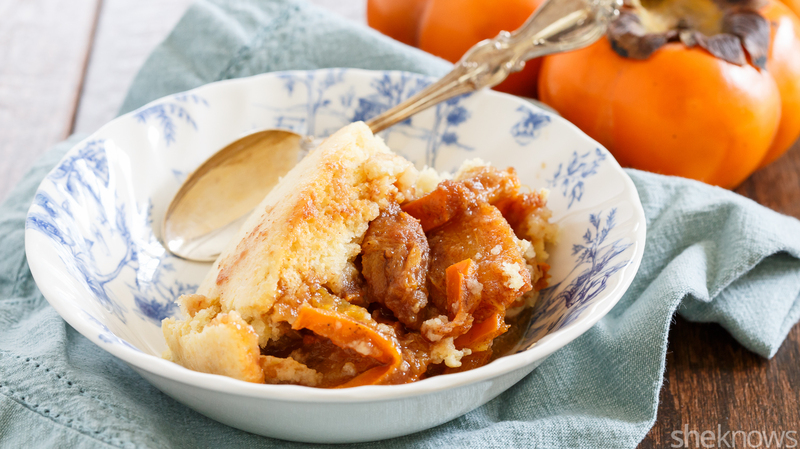 In another medium bowl, whisk together all the ingredients for the cobbler topping, and pour it on top of the persimmons. Spread the batter evenly on top of the fruit. 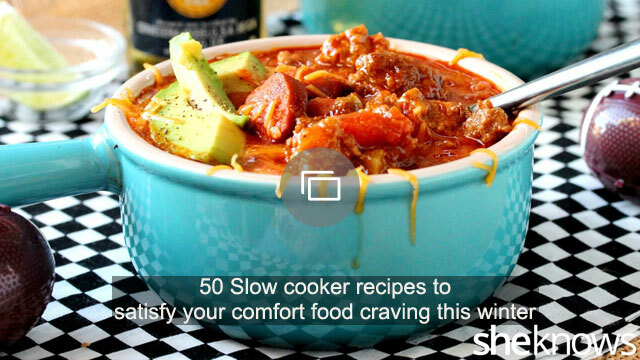 Place a dish towel over the top of the slow cooker, and then place the lid on top of that. Cook on low for 7 – 8 hours, once the edges start to brown. Spoon the cobbler into bowls, and serve.